31 days to make 31 images. 7 more Ink fashion illustrations from my Instagram feed. Week 2 of Inktober saw me taking some inspiration from the recent Paris Fashion Week. Phoebe Philo’s belted coats and sheer dresses from Céline’s ready-to-wear collection, and the draped lines from Stella McCartney. 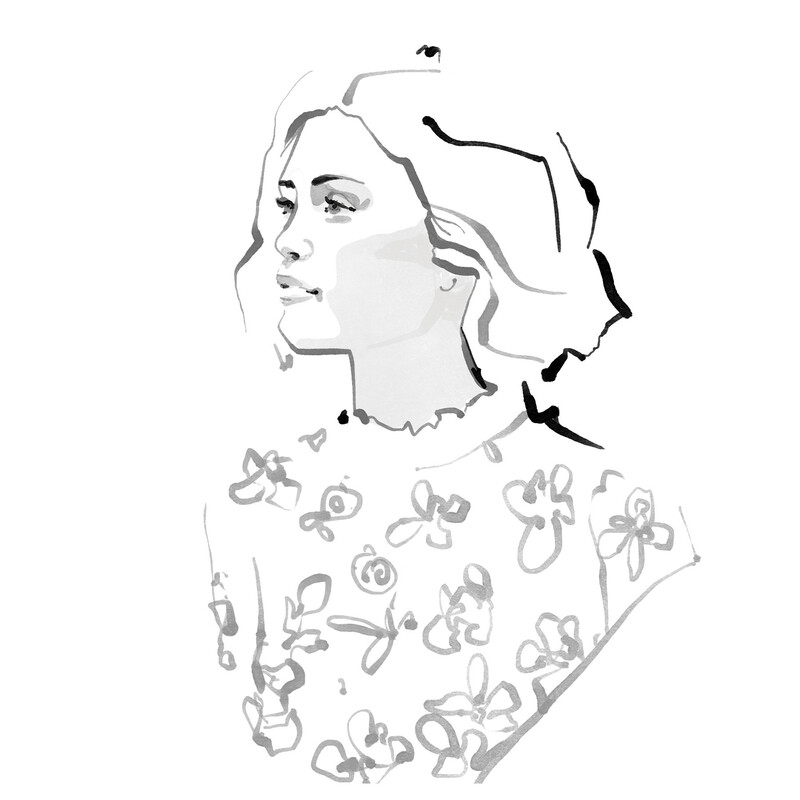 You’ll also be seeing some references from the 50s & 60s throughout the month’s ink fashion illustrations. I’m currently binge-watching Mad Men whilst working on this project. I can’t believe it’s taken me this long to finally catch up on Don Draper’s antics.